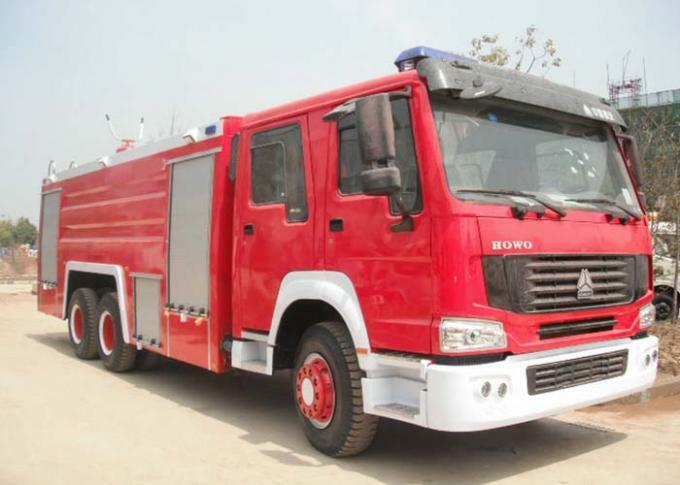 The fire truck, also known as the fire engine, is specially used for fire or other emergency using vehicles. 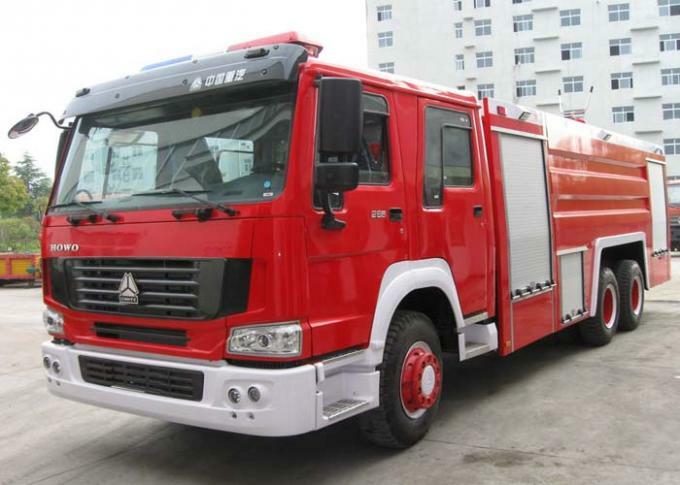 Fire engines can be classified according to the functions of water tank fire truck, foam fire truck, agricultural fire truck, fire fighting and sprinkling truck and other special using vehicles. Fire engines usually stationed at the fire station, met the alarm by firemen to drive the scene. 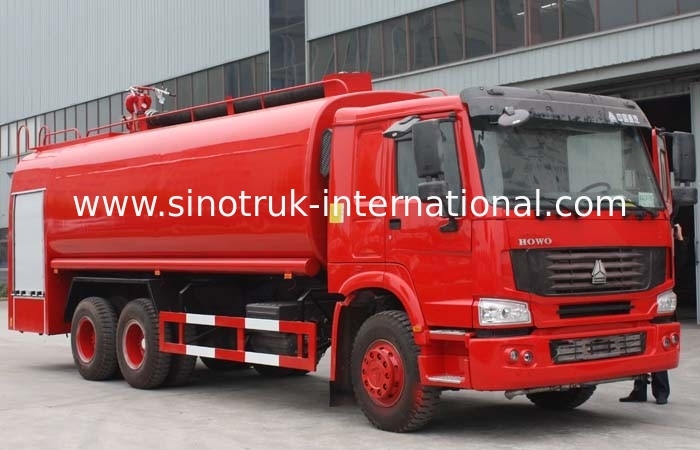 SINOTRUK HOWO series fire truck chassis modified liquid carrying capacity of 8 tons, 12 tons, 16 tons of water tankers, foam fire truck and other products. 1) SINOTRUK Fire Fighting Truck have strong power, short acceleration time, compact structure, occupant space, low floor, convenient to staff on and off. 2) Cab space is spacious, can take the 8-10 person, equipped with a dedicated fire fighters. 3) Equipped with better communication equipment, such as GPS, car radio, alarm, 12/24v power outlet.